The Vaughan Shingling Hatchet is forged from American made, high carbon steel and has a full polished head with a milled, crowned face for clean nail setting. Its thin blade splits shakes cleanly with a 2 1/2" cut. The inner blade has a draw knife for shaving shakes. It has three-hole gauges to space the length of shingle exposed to weather, which is designed for both U.S. and metric measurements. 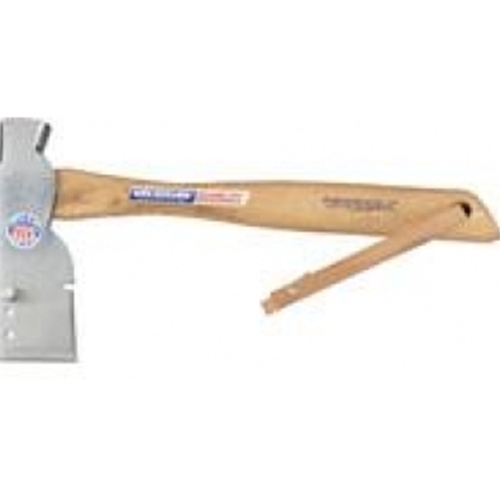 The 13" handle is made from high density American hickory.